In 1968 boxing legend Muhammad Ali was having a hard time of it. Stripped of his Heavyweight title and banned from boxing for refusing to fight for the US Armed Forces in the Vietnam War, an offence for which he could be sent to prison, alongside being heavily criticised for converting to Islam a few years previously and changing his name from Cassius Clay. 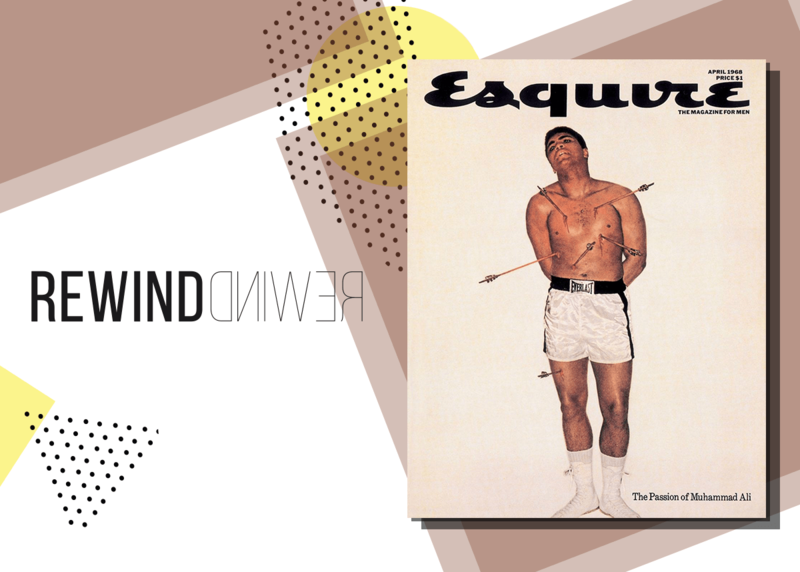 So when revered art director George Lois was in charge of an Esquire cover shoot of the controversial athlete, he certainly had a job on his hands. Lois’ solution? To depict Ali as Saint Sebastian, an early Christian martyr who was slain with arrows for his faith. Posing in his boxing shorts with his hands tied behind his back and arrows seemingly piercing his skin, the final cover was majestic, iconic and helped cement Ali’s reputation as one of the greatest boxer’s ever known. Little Prince George turns 4!